Late last year I set myself the goal of winning an A grade criterium in Melbourne’s illustrious criterium scene. As you might have guessed from the title of this article, I did not win an A grade criterium. In fact, I didn’t even get close. However, I am not overly discouraged by this lack of achievement as I’ve recognised through reflection that I went wrong in my approach to goal setting. 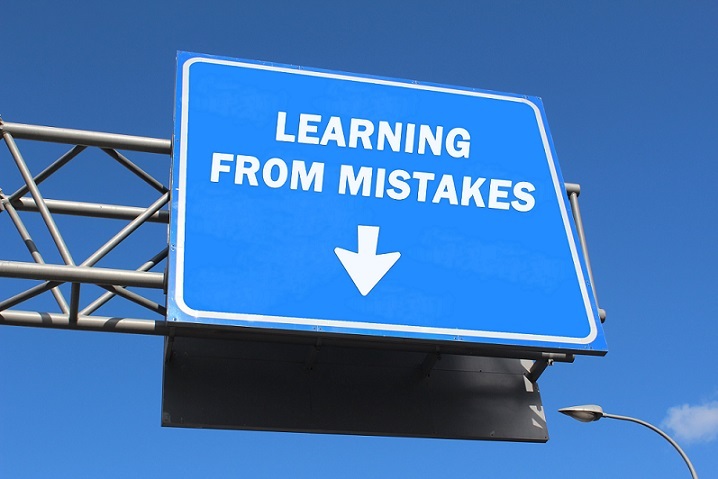 In particular, I made two mistakes which cost me the ability to reach my goal. 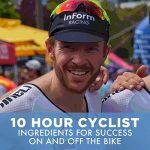 With the criterium season starting in October and running through to late March, you have a full six months to make the most of your opportunities. However, for the first time in years I took winter off the bike without riding. From May to mid October (following a two-week trip to Europe), I rode only a handful of times which proved to be a big mistake. The previous winter I had also taken off but I maintained some base by doing a 220 watt one-hour indoor trainer session every week and one outdoor ride for one to two hours. This allowed me to maintain a slight base fitness, helping me find my peak fitness a lot quicker than if I was starting from scratch. This season I spent November and December building up my base fitness, and after three A grade criteriums and a trip to the Tour Down Under, I was close to peak fitness by the time February was closing in. I had two months of criterium racing in front of me to achieve my goal – or did I? Part 3 of the goal setting formula requires you to list obstacles that get in your way. Would you believe, I didn’t do this in granular detail? I knew I had some travel in February, but I didn’t list it on my list of obstacles. At the time of writing down my goals I had three trips in February planned, including a five-day family trip to Noosa and a Sydney-San Francisco combo work trip, totalling eight days. I have identified mechanisms to continue to train while travelling but with the dynamic nature of my job, often I am made aware of travel requirements only a few days prior. In February I was required in Auckland for three days and then in Sydney for another two days. In total I had eighteen days away from home across five trips. The in-and-out nature of these trips makes training before and after I return difficult due to time constraints and family commitments. Another obstacle I didn’t list when considering travel commitments is boozy dinners with work colleagues. I am not a big drinker and overall I eat well, but put me together with great colleagues who want to have a couple of beers before dinner and then a couple of reds at dinner (and maybe even a cheeky nightcap) and I don’t need my arm twisted. Not only does this negatively impact a training regime through muscle inflammation and weight gain, it also puts more stress on the body when jet-lagged. The result: when I returned from my final Auckland trip in late February I came down with a head cold. Typically I would pick something up from one of my kids, but with them not being unwell and my wife bouncing off the ceilings, it was clear this sickness had been brought on by too much of the good life and an intense travel schedule. In the past when I’ve been really committed to a goal I have been able to take the moral high ground, but reflecting on my behaviours I feel I had already subconsciously recognised that I’d missed the boat this time round. When I started writing this blog series I indicated a wisdom that comes with riding for a long period of time while managing career and family commitments. After another six months in the saddle I have taken away some new lessons that will change the way I approach my goals and training schedule in the future. I still have strong aspirations to win an A grade criterium and plan to tackle next season’s criteriums in a different and more effective way. I think you should be in top form come October, By feb/Mar most are in very good condition from the extra training due to daylight savings and all the extra racing that is on offer. Peter is on the money. If you come into crit season after a winter if riding you’ll have an advantage over many in the field. On the other hand, early season A grade is quite popular with international cyclists on their off season so that will make it a bit more difficult. Another option is to target races where there will be a reduced field such as during the TDU or early VRS stage races. That approach got me into A grade and I’ve set a goal to win an A grade crit next season too. Might see you out there!